The Summer School is designed to comply with the increasing demand for researchers with different and cross-disciplinary backgrounds who are able to manage virtual environments and to exploit the analytical potential of 3D data in a variety of scientific endeavours. The courses are suitable for undergraduate/graduate students, PhD students, post-doctoral researchers, and professionals in the field of anthropology, archaeology, medicine and dentistry who are interested in developing fundamental skills in 3D data acquisition and post processing. Participants will acquire specialised notions on the different kinds of technology employed in 3D data acquisition (e.g., surface scans, X-ray computed tomography – CT), and on a variety of methods for post processing surface data (such as segmenting/visualizing image data from (micro)-CT sources) to create and analyse 3D digital models. For this purpose, the School is articulated in two classes, each of which will address specific subjects and will provide access to complementary skills. The classes can be attended independently or in sequence, and both classes will involve lectures and practical sessions conducted and supervised by experts in the field.To register to the Summer School and reserve a spot, participants are required to fill out the application form no later than May 10th, 2019. All people are welcome from within or outside archaeology and anthropology, and those in retirement looking to continue/pursue their interests. International applicants are very welcome. Applicants need to be 18 years of age or over and have some education in the study of archaeological human remains. There will also be some guest lectures from Durham and elsewhere. Applicants should have a good command of English to get the most out of the course. We have 10 places available for the course in August 2019. Applications must be received by April 30th, at which point all applicants will be considered for the 10 places available. Applications should be made on the form downloadable at the bottom of this page, and submitted to archaeology.postgrad.research@durham.ac.uk. More information coming soon (link). A minimum number of 10 students are required for this course to run. This includes accommodation and transport from the airport as well as an excursion which is going to be planed according to the group’s suggestions. Deadline for booking a place is March 30th. Special discounts apply to current and former students of the University of Edinburgh. More information here – http://edinburgh-unit-fa.wixsite.com/eufa/crete-field-school-2018. Co-taught by a forensic anthropologist (Thomas A. Crist, Ph.D., FAAFS), a historical archaeologist (Kathleen L. Wheeler, Ph.D.), and a medical anthropologist (John H. Johnsen, Ph.D.), course topics also include cross-cultural health and healing; Roman and Balkan history; mortuary archaeology; human anatomy, mass fatality incident planning; cultural resources management; public outreach; and heritage tourism. Albanian archaeologists and the physical anthropologists at the Rainer Anthropology Institute join us to present specialized lectures, demonstrations, and site tours. For more details and videos about the program, we invite you to visit our web page at www.utica.edu/butrint or contact Thomas A. Crist, Harold T. Clark, Jr. Professor of Anthropology and Anatomy, at Tcrist@utica.edu/315-792-3390. You are invited to join the 8th European Academy of Forensic Science Conference (EAFS 2018) in Lyon, from the 27th to 31st of August 2018 in Lyon, France. EAFS 2018 main topic will be « 2020: The Forensic Odyssey – the new European Forensic Science Area ». This meeting will be structured in four main topics: Forensic Intelligence, Forensic humanity, Forensic response against terrorism, and Forensic challenges. Submit your abstract(s) for this event before April 13th 2018. The Mercyhurst University Department of Applied Forensic Sciences is pleased to announce that registration for our 2018 Summer Short Courses is now available. Five one-week courses provide training in Forensic Archaeology, Human and Comparative Osteology, Human Skeletal Biological Profile, Skeletal Trauma, and Stable Isotopes in Forensics and Archaeology. Mercyhurst faculty and expert guest instructors combine classroom lectures with hands-on field and laboratory sessions. Courses are suitable for law enforcement, medicolegal professionals, and students of all levels. No prior experience is required. Visit our website (www.ForensicAnthCourses.com) or contact Dr. Sara Getz (sgetz@mercyhurst.edu, 814-824-2624) for expanded course descriptions, instructor bios, registration, and payment information. VERSAVEAU, France ; Dr. D. PASSERIEUX, France ; Dr. M. LACAMBRE, France ; W. BODKIN, France ; O. SAUTEL, France. Can family thérapies treat domestic violence ? Call for papers: From mid October 2017, prospective participants will be able to upload proposals in the form of abstracts of no more than 250 words via the conference website at http://inogsconference2018.com. A biographical sketch of no more than 100 words will also be required. Panel and roundtable submissions need, in addition, to explain the rationale behind the suggestion. Queries relating to this process can be sent to admin@inogsconference2018.com. Applicants can expect to learn the outcome of their proposals within four weeks of submission. After their proposals have been accepted participants will need to register online at http://inogsconference2018.com/ which contains further information about the conference, fees, accommodation options, travel advice, and other relevant matters. Participants registering before 15th February will receive a 10% discount for early registration. The closing date for paper, panel and roundtable submissions is 15th March 2018. The conference will be dedicated to all forensic fields working within this area, and hopes to attract a range of speakers, both professional and academic to share their research and experience with the BAHID members and wider forensic community.The deadline for this call is Friday 15th September 2017. The symposium will be articulated in 6 sessions aiming at documenting and giving useful information about the spread of the disease on the scale of a city, a harbour and notably a Mediterranean territory. In the concern of comparing the ways of diffusion as well as the sources, contributions about other geographical areas will obviously be welcome. As long as they concern a municipal scale or harbour context (be it civil or military) — or if they deal with enclosed spaces (like enclaves or geographically, culturally or socially – isolated populations ). Congress of Auxology is addressed to pediatricians, pediatric endocrinologists, public health professionals, anthropologists, biologists, statisticians, all professionals interested in human growth either in individual or in population groups and students. Deadline for Abstract submission: Sunday 18th June, 2017. Diploma course in Forensic Medical Sciences 5th October 2017 – 22nd March 2018, London/Online, Academy of Forensic Medical Sciences in London. This course was established by Professor Peter Vanezis in the late 1980s and remains unique in the world. It is a part time evening course aimed at those interested in learning about a range of forensic topics. The Course will consist of 30, two hour sessions and will be available by completion in classroom and online. Students may also choose to complete the course as part attendance, part online. Students who successfully complete the course will be eligible to sit for the Diploma in Forensic Medical Sciences, which is offered by the Worshipful Society of Apothecaries of London. The course aims to offer participants an understanding and core knowledge in forensic medicine, as well as toxicology, forensic science and the law. The standard of admission to the course will be a relevant University degree in medicine, law, science, social science or a related subject. The fee for attendance at Lectures within the Charterhouse Square Campus is £900, payable prior to the commencement of the course. The fee for the distance learning course is £900 payable prior to the commencement of the course. Candidates must submit a formal application for admission, electronic copy of an application can be requested from info@afms.org.uk. Diploma course in Forensic Human Identification, 5 – 9 March 2018, London/Online, Academy of Forensic Medical Sciences in London. The Academy of Forensic Medical Sciences is holding its next Diploma Course Forensic Human Identification in March 2018. This intense one-week Course, which is also available online, comprises 31 hours of lectures. Students who successfully complete the course will be eligible to sit for the Diploma in Forensic Human Identification, which is offered by the Faculty of Forensic and Legal Medicine of the Royal College of Physicians. The standard of admission to the course will be a relevant University degree in medicine, law, science, social science or a related subject. Diploma course in Management of the Dead, Monday, 12th February – Thursday, 15th February 2018, London/Online, Academy of Forensic Medical Sciences in London. This course aims to offer participants an understanding and practical knowledge of the main aspects related to the management of the dead. It also explains the processes involved in ensuring the dead are managed in a proper and dignified manner, including consideration for the needs of bereaved families. The course will also provide an understanding of all aspects of how deceased persons are managed from when death occurs to their lawful disposal and all related issues. Both single and multiple death situations will be covered. The fee for attendance at Lectures within the Charterhouse Square Campus is £850, payable prior to the commencement of the course. The fee for the distance learning course is £850 payable prior to the commencement of the course. 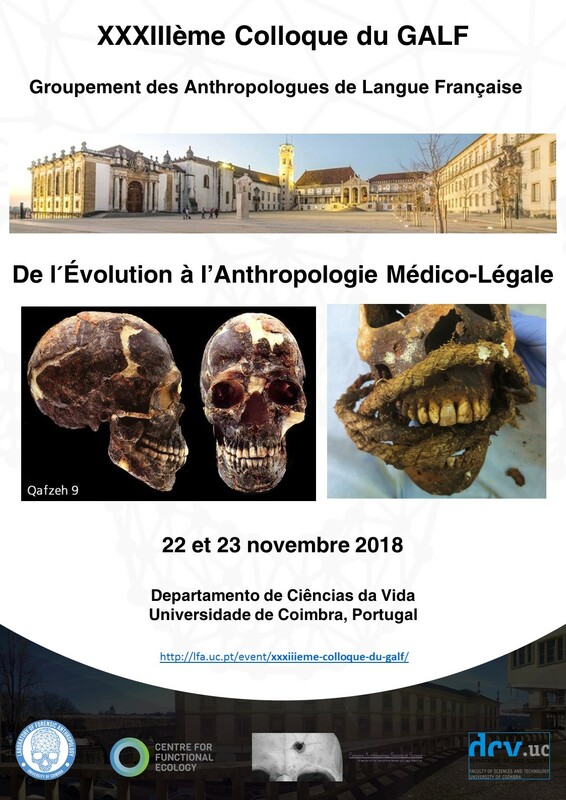 ISDM-IAPO is an interdisciplinary symposium, bringing together researchers in anatomy, palaeoanthropology, palaeontology, archaeology, dentistry, genetics, biology and biomechanics, focussing on various themes: dental evolutionary changes, teeth in archaeology, dental growth and development, biomechanical aspects of the masticatory apparatus, odontology, pathology and oral health in present and past populations, evo-devo of hard tissues and new methods in dental studies. The 36th Anthropology and Health Conference 2017: Anthropology in the Service of Global Health will be held in Dubrovnik, Croatia, June 16-18, 2017. The deadline for registration and abstract submission is April 30th 2017 with no registration fee. The Conference will precede the 10th ISABS Conference on Forensic and Anthropologic Genetics and Mayo Clinic Lectures in Individualized Medicine, which will be held June 19-24, 2017 at the hotel Palace Dubrovnik.